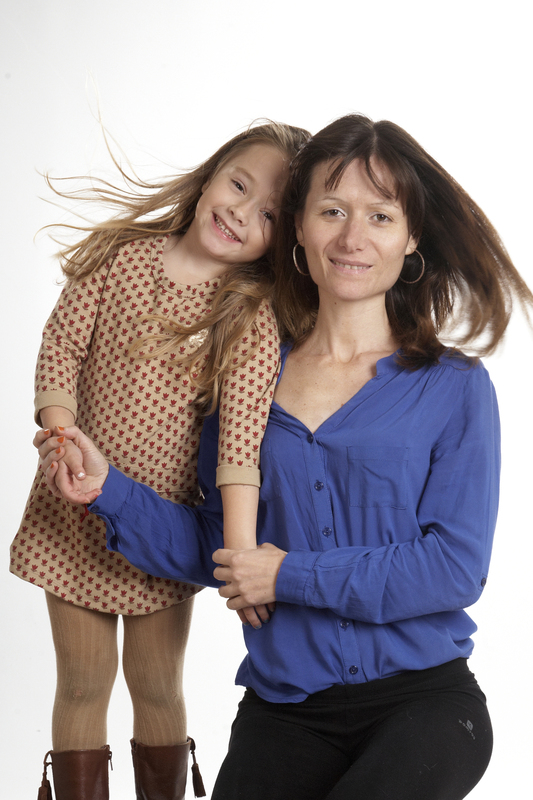 My name is Diana, I am a Spanish mum of a 6 year old girl, and we live in Spain. Her dad is Spanish, too. I love languages and speak English so I decided to raise my kid bilingual, even though I am not a “native” English speaker myself. I think babies and kids have the natural capacity to simply repeat whatever you tell them, so I thought, why not try to give my daughter the chance to learn two languages in a natural and effortless way? Since I had the motivation I could find the tools I needed back then and the ones I could not find, I created them myself. I wrote a book about this. 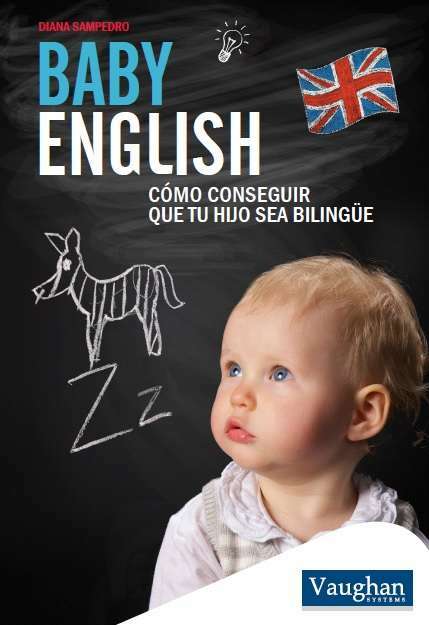 Baby English: Cómo conseguir que tu hijo sea bilingüe. Published by Vaughan system, 2016. I ´ll come back to it later. I was living in the UK when I got pregnant. I used to attend to some mum-to-be groups and playgroups and I met some multilingual families. I started getting familiar with babies English vocabulary and I was amazed to see that some little kids could communicate in more than one language with their parents. I decided to speak English to my daughter. She was born in Spain. But even when she was still in my belly I used to sing to her lullabies and talked to her in English, just to get used to both of us! I think this is really important when you talk to your child in a non native language, you both need time to get comfortable, and guess what, you will! When my daughter was a baby, I used to write a blog about maternity and bilingual education. I posted vocabulary and ideas and personal experiences in my non-native bilingual journey with her. However, every day I had these doubts about vocabulary, Am I doing the right thing? Is this going to work?…and some years later I started to write about all of that and the solutions I was coming across with. You know, I love reading, I love writing. THE BOOK: BABY ENGLISH: CÓMO CONSEGUIR QUE TU HIJO SEA BILINGÜE. One day I told myself, why not writing a book? This could be the kind of book I was looking for before starting this bilingual project. Because out there in the market you can find some very good books about bilingualism, but it was hard to find a book that actually helps couples who are not native speakers in one of the language they want to teach their kids. And I needed to know how to say for instance, “Mete la camiseta por dentro”, that is “Tuck your T-shirt in”, for example. O “Te echo una carrera”, “I´ll race you”, for example. There is also a chapter about reading in English and how to help children to get used to the English sounds. Everybody talks about bilingualism nowadays. There are some benefits about bilingualism that I can mention. I am not an academic so I cannot speak about the advantages of bilingualism in a scientific way but I have been reading more and more articles about benefits of being a bilingual. What I can talk about it is the easiness you find when travelling, living in another country if you are able to speak more than your native language. You have a better and deeper access to other cultures, other interesting ways of living, thinking. It also offers you the chance to see reality from a different perspective, and I guess that can have a good impact in the way you interact with the world. It gives you an open approach, a curiosity, a connection with your feelings in a wider way. As I mentioned before, at the end of the day the main and most beautiful thing related to your children and you is to connect with them, to feel close and loved, through words, (languages), and actions. Thanks Suzanne for the opportunity to share my experience and congrats on you blog. I am happy to introduce our first guest post on the blog Interpretations of a Bilingual Life. Diana seems to have done an amazing job raising a bilingual child. I identified with her story because as a mother raising 2 bilingual daughters I have found myself feeling insecure about my Spanish because I never studied it in a school setting. Her and my personal experience are examples that there are multiple paths to bilingualism. I am also a Spanish mum trying to raise my 22-month-old baby in English. I have Diana’s book and I can say it is really good, as she shares good tips, as well as vocabulary and expressions that are very useful. It is also very motivational for us parents trying to raise our kids in a language that is not our mother tongue. Congrats also on the blog, Suzanne! Thanks to Suzanne for the chance to share my experiencie and thanks Eva for your words. Your blog is also full of useful tips and beautiful!